Elite Floors, Incorporated provides a complete array of commercial flooring services to both the public and private sectors. Elite Floors acts as either a prime or sub-contractor, and provides products and installation services for carpet and resilient flooring. Elite Floors organizes its workforce to handle any of the special conditions, time constraints or custom work common on the large, complex building and renovation projects in the New York/Tri-state area. 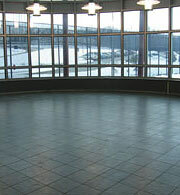 Elite Floors has access to a union workforce which guarantees quality. To have Elite Floors participate on a competitive bid, or to solicit pricing, call 914-965-2515 or fax solicitations to 914-965-1235.